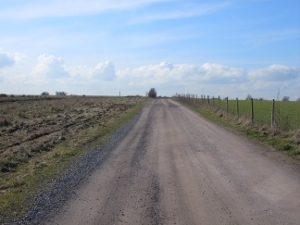 Start from the parking place on the road leading to the Shooting Club. 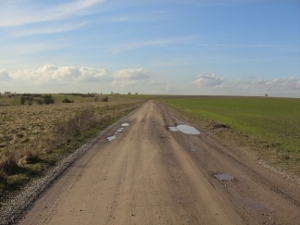 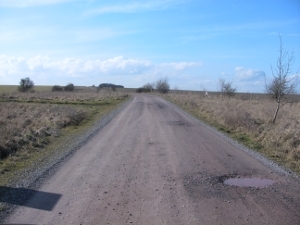 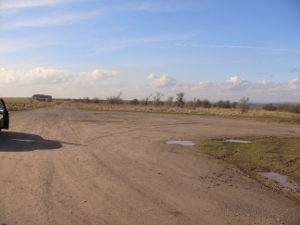 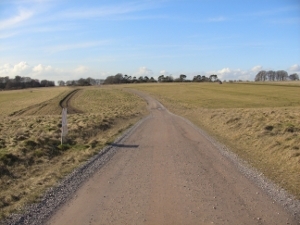 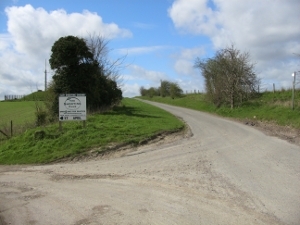 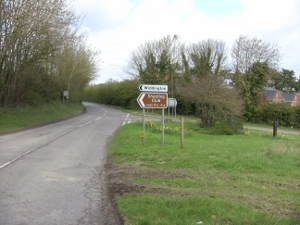 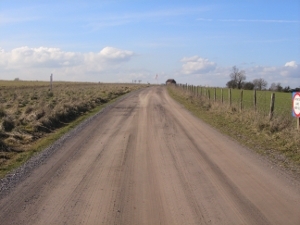 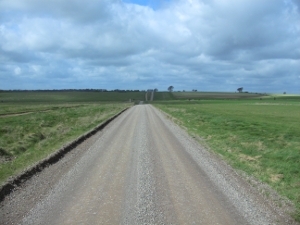 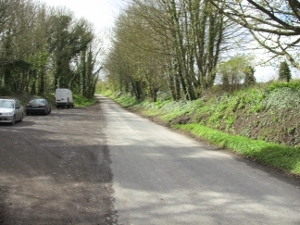 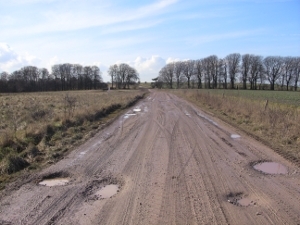 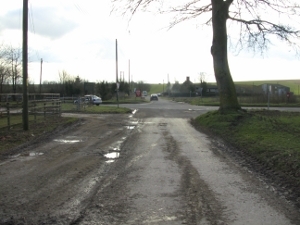 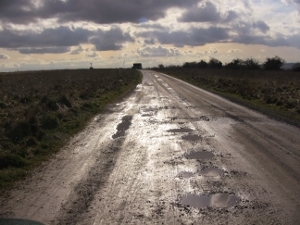 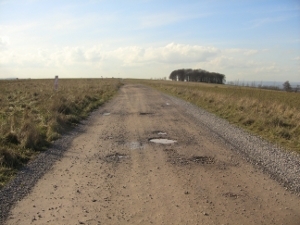 The road leading to the Shooting Club. 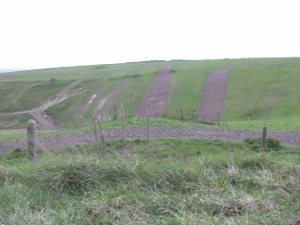 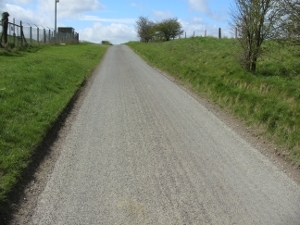 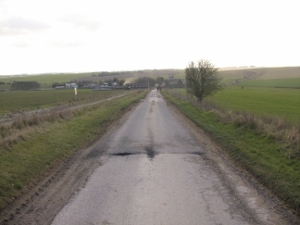 On the left can be seen the bike racing tracks. 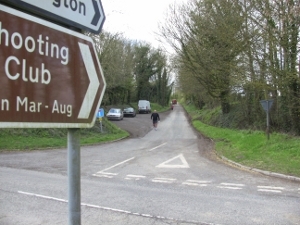 past the turning on the left to the Shooting Club. 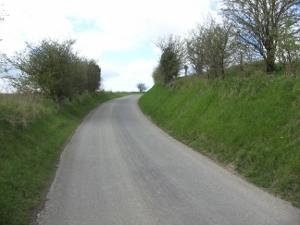 This hill seems to go on for ever! 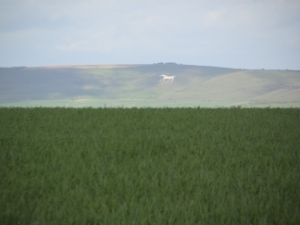 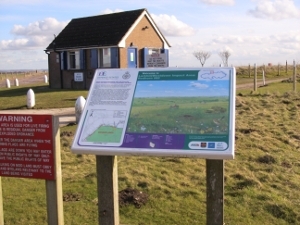 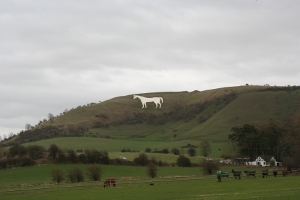 can be seen the Alton Barnes White Horse. 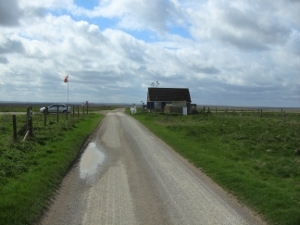 will see a control hut. 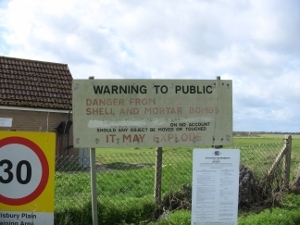 Here you enter the military zone. 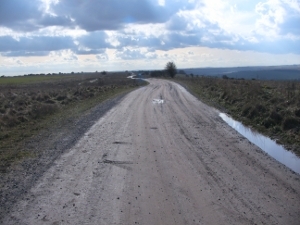 Do not stray from the roads. 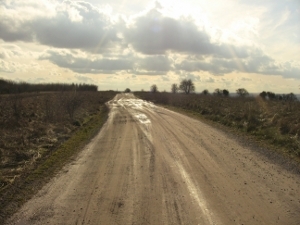 ... on to an unmade road. 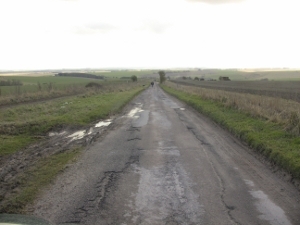 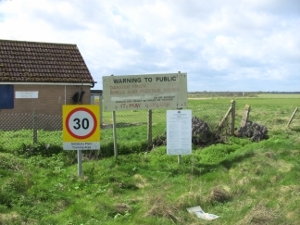 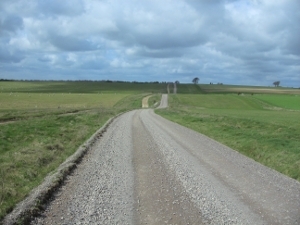 On your left is the Salisbury Plain military ground which is forbidden territory. 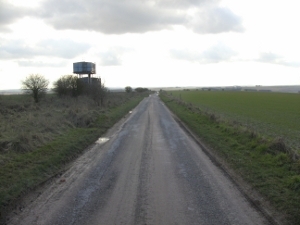 This is a good point to view the runners. 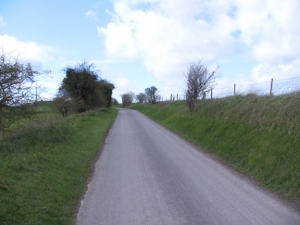 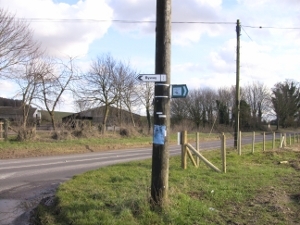 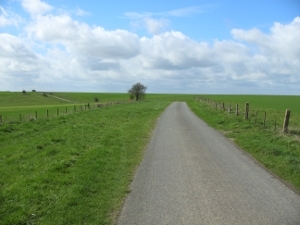 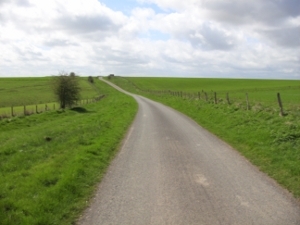 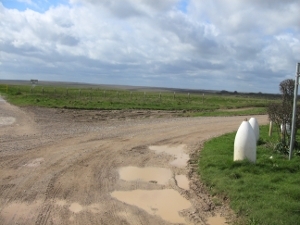 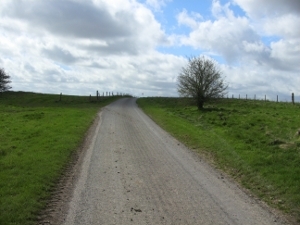 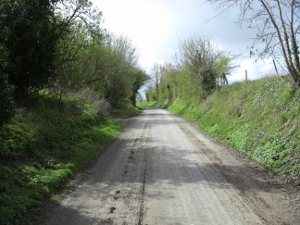 Continue along this track for a further five miles before reaching the end of this leg which is just before the A360 at Gore Cross Farm. 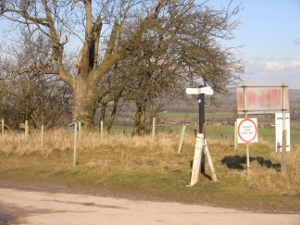 Gore Cross. 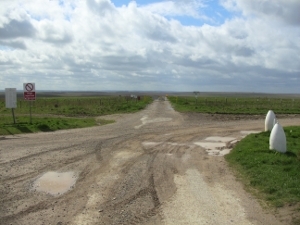 The end of this stage. 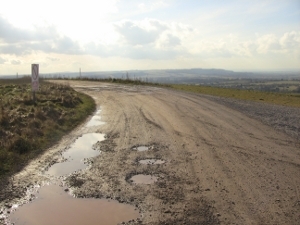 This year there will not be a water point at Redhorn Hill as teams are requested to hydrate the runners themselves.